Flowers come in so many shapes and sizes, but nothing is as large as the Rafflesia arnoldii, also known as the corpse flower. It gets it’s name because of the odour it produces, a rotting flesh smell. That smell is meant to attracted flies, so that they are able to pollinate the flower. Sounds terrible but this flower is actually so fascinating you start of forget about the odour. Unless maybe you were up close to it. The Rafflesia arnoldii was first discovered by a French botanist and explorer named Louis Auguste Deschamps in 1798. Deschamps was a member of a French scientific expedition to Asia and the Pacific. During this voyage his ship was taken over by the British, his work wouldn’t see the light of day until 1954 when it was rediscovered in the Natural History Museum in London England. 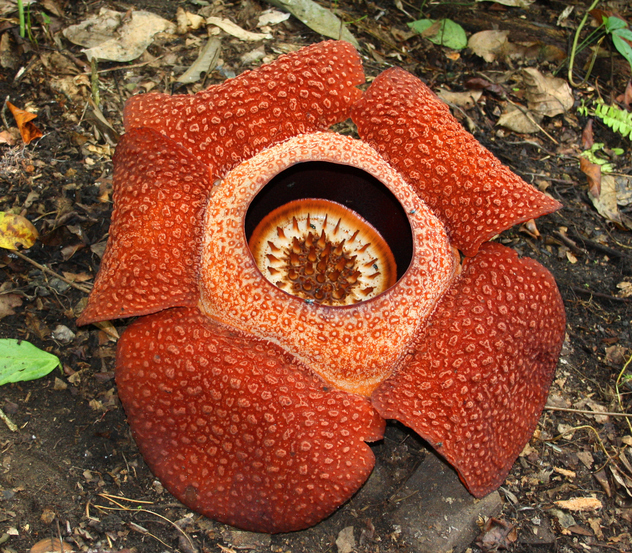 Then British botanist Joseph Arnold and Statesmen Sir Stanford Raffles collected a specimen of another Rafflesia species found by a Malay servant in Sumatra in 1818. Shortly after that Arnold died of a fever and it was his successor, Willam Jack who rushed to have the name of the flower published so that the British would receive credit for the discovery. The Flower is around 1 meter or 3 feet and it weighs up to 11 kilograms, or 24 pounds. These flowers emerge from very large cabbage-like, maroon or magenta buds that typically measure around 30cm. The largest bud on record was found at mount Sago in Sumatra in 1956 and measured 43cm in diameter. The Rafflesia arnoldii lives as a parasite on several vines of the genus Tetrastigma which grows primarily in rainforests. Rafflesia arnoldii lacks any observable leaves, stems or even roots, yet it’s still considered a vascular plant. And similar to fungi, individual plants grow as thread-like strands of tissue that are completely embedded within and in intimate contact with the surrounding host cells. Rafflesia arnoldii gets it’s nutrients from the host cells as well as it’s water. The Rafflesia arnoldii lives in the rainforests of Sumatra, Malaysia, Java, southern Thailand, Borneo and southern Philippines. Since rainforests all around the world are shrinking, the plant is now at risk of going extinct. Thanks to some environmentalist there might be hope to combat their possible extinction. By simulating their environment, the plant is hopefully going to be saved and so far this process has shown some success. Steps are also being taken to conserve rainforest all around the world and another step that has been proven helpful is getting local residents involved. 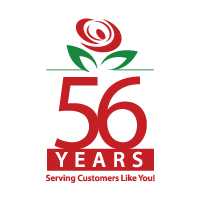 Those that are lucky enough to have the plant on their property are able to charge a small fee to have tourist or other curious locals, take a look at this one of a kind flower.